Let me start with the question, does Automation save testing effort? Everyone has different views on it. Majority of us are on the positive side and few of us are on the negative side. However, without considering the factors behind it, above mentioned view is worthless. So let’s try to find out the answer. In “Automation/Manual Estimates Correlation Part: 1” blog, my focus will be on where Manual and Automation estimates differ. In the next blog I will be demonstrating different aspects by which we can say When, Why and How Automation saves testing efforts. And, as we know, testing activities begins as soon as we have requirements, below are the major testing tasks, where estimations for Manual and Automation testing differ. 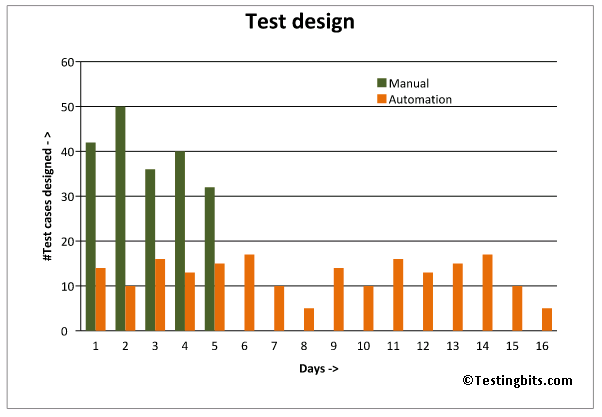 In Test case design task Automation takes additional time as compared to Manual Testing. Why so? Let’s take a look at below example. Note: Above graph does not consider efforts required to create Automation framework. In above graph you can see that when there are 100 requirements given, assuming each requirement can be tested with 2 test cases (i.e. 200 Test cases can be derived from each requirement). One Manual tester can write 40 Test cases per day, so, Manual tester takes approximately 5 days of efforts to write 200 test cases. Whereas, an Automation Tester can write approximately 12 test scripts per day, one Automation Tester will take approximately 16 days to complete test scripts to cover same test cases. With above piece of information, Can we say that Automation is expensive? I think it’s too early to conclude this. Let’s see what happens if we use Automation for Test data Preparation. 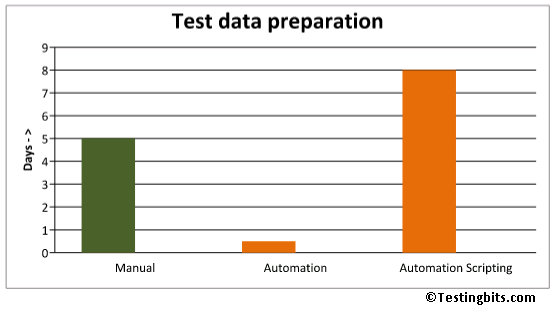 In below graph you can see that one Manual Tester just takes 5 days for carrying out data preparation whereas using Automation, It takes 8.5 days (Time required to create scripts which creates the test data = 8 days + 0.5 (execution) = 8.5) . Again, Can we say Automation is expensive? Let’s move to Test execution phase and see what happens. 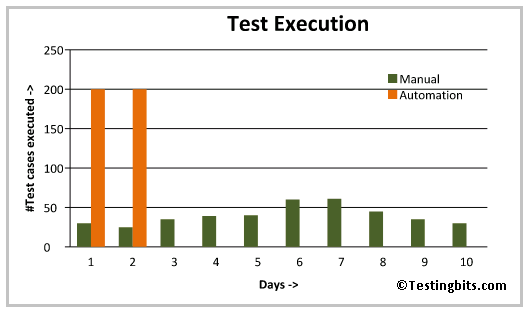 Below graph shows that Manual tester requires 10 days to execute 200 test cases and Automation requires only 2 days a big difference. With this information one can say, Automation saves lot of execution efforts. Let’s automate the testing. With above information we can’t make a decision whether to go for Automation or not. Then, what are the facts? Let’s compare Automation by considering different factors. Click on “Automation/Manual Estimates Correlation Part: 2” to know more. ← Learning’s from Ransomware Attack! !